We love to discuss and debate our apparent origin and destiny as human beings—to research the secrets of our family, cultural, biological, and cosmological histories; and to speculate as to what our future might be like on all these fronts. And while each of us may have opinions about such things— and there is certainly nothing wrong with this kind of research, speculation and debate —we should not imagine that any ultimate truth about our origin or identity is to be discovered retrospectively (however plausible the stories we tell ourselves about the past may seem); nor that the ultimate meaning of our life is to be discovered prospectively, in some ideal (or apocalyptic) future—however desperate (or terrified) we may be to find it there. Rather, the answer to our ultimate questions are only to be found as we become attuned to Reality— attuned to that which IS —to that which can only be encountered here and now (albeit deep within and high above that which we typically imagine ourselves to be). 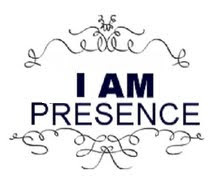 And as we have discussed elsewhere, our point of contact with this deeper/higher Reality is the Divine presence within each one of us—the “I Am” presence which IS the living Christ. Moreover, if we abide in Him, as He abides in us, a proper orientation toward the past and future will surely follow—just as surely, in fact, as night follows day. While these opening verses from the gospel of John are perhaps the most famous reference to creation in the New Testament, there are several others of note, including the following passages from the book of Hebrews and the book of Colossians. All three of these, considered together, not only dovetail nicely with one another, but also with the account in Genesis 1:1-2:3. In these last days [God] has spoken to us by a Son, whom he appointed heir of all things, through whom he also created the worlds. He is the reflection of God’s glory and the exact imprint of God’s very being, and he sustains all things by his powerful word (Hebrews 1:1-3). 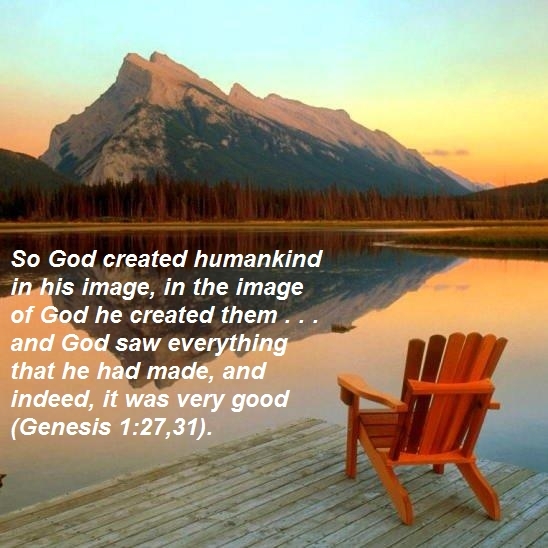 He is the image of the invisible God, the firstborn of all creation; for in him all things in heaven and on earth were created, things visible and invisible, whether thrones or dominions or rulers or powers—all things have been created through him and for him. He himself is before all things, and in him all things hold together (Colossians 1:15-17; see also verses 27-28). 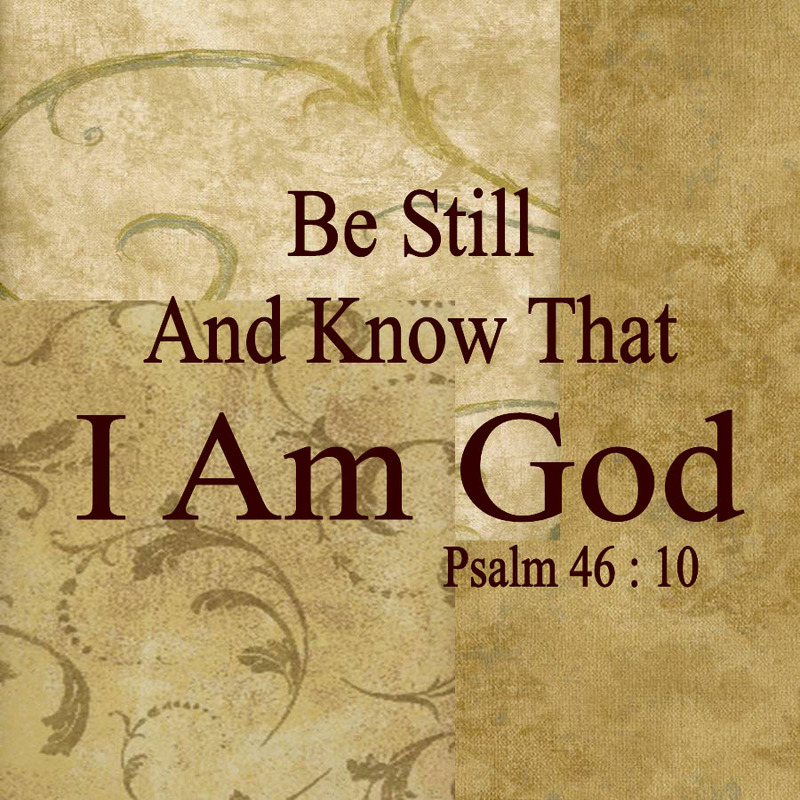 “Beloved, we are God’s children now; what we will be has not yet been revealed. What we do know is this: when he is revealed, we will be like him, for we will see him as he is” (I John 3:2). Indeed, the implication is that when we see him as He is, we shall see ourselves as we are and shall know even as we are known (cf. I Corinthians 13:12). There is a myth, dating back at least to the time of Plato, in ancient Greece, that before we are born, we drink from the river lethe— the river of forgetfulness or oblivion —so that we cannot remember our real origin and destiny which is somehow prior to (or transcendent of ) the unfolding of our existence in space and time. It is interesting to note that the Greek word for truth is aletheia which can be construed (quite literally) as that which is “no longer forgotten” or that which “no longer escapes our notice”—that which, if seemingly unknown, must be “remembered” or “recollected” (cf. aletheia; alethes; lanthano; lethe). For us to arrive at the truth, then, is in some sense to remember that which we have forgotten or to turn our attention to that of which we have, for a time, become oblivious. This is consistent with a very plausible interpretation of an otherwise obscure passage in Ecclesiastes which seems to be saying that “whatever God does endures forever” (3:14) but that He has “put a sense of past and future into [our] minds” such that we “cannot find out what [He] has done from the beginning to the end” (3:11). The veil of time, it seems, renders us oblivious to the true glory and integrity of creation and would seem to be closely related to that which is portrayed in Genesis 3 as the punishment that we incurred after having eaten of the fruit of the tree of the knowledge of good and evil which resulted in our alienation from God, together with the experience of suffering and death which that entails. The predicament we find ourselves in is quite complex, but the solution, as we shall see, is very simple. 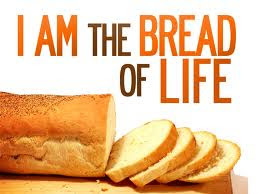 We need only to turn, in faith, toward the One in whom we live and move and have our being by trusting in and relying on the “I Am” presence which IS the living Christ (cf. Acts 17:27-28; John 14:6). 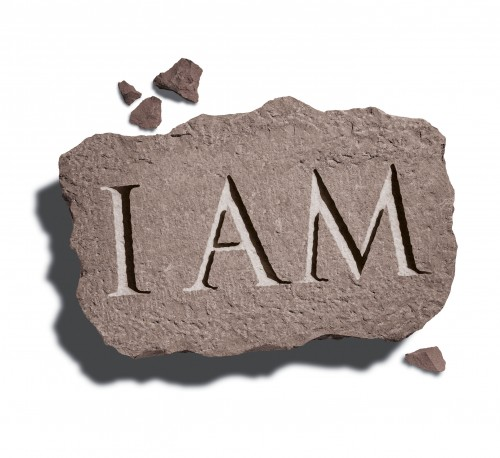 The “I Am” presence is our point of contact with the living Word of God. The Word of God (or logos) is the Divine intelligence through which our world is framed. We are created in the beginning— in, through, and for Christ —and have eternal life in Him. We have become (for a time) oblivious to or forgetful of our relationship to God in Christ. The Reality of our origin and our destiny— our eternal life in Christ —is not to be discovered in the past or in the future (as we usually imagine them), but is to be found here and now, by grace, through faith (cf. II Corinthians 6:2, Ephesians 2:8-9). In light of these observations, when we read the opening verses of the Gospel of John and other New Testament references to creation, it is worth considering that since we are in Christ and Christ is in us, these scriptures are best understood as referring not to something that happened long ago and far away, in terms of time and space, but to something which is taking place— here, now, and always —in each one of us; taking place in us because Christ is being formed in us (Galatians 4:19; cf. Colossians 1:27-28); and taking place in Christ because we are created in Him; because He IS the beginning in which God creates the heavens and the earth, including human beings in His image (i.e.human beings in Christ). Indeed, Christ has come to light as the beginning of the creation of God which not only endures forever, but which is very good, indeed (cf. Genesis 1:1, 26-27, 31; Psalms 8 and Hebrews 2; Revelation 3:14; I Peter 1:23-25). “That was not first which is spiritual, but that which is natural; and afterward that which is spiritual. The first man is of the earth, earthy: the second man is the Lord from heaven. As is the earthy, such are they also that are earthy: and as is the heavenly, such are they also that are heavenly. And as we have borne the image of the earthy, we shall also bear the image of the heavenly” (I Corinthians 15:46-49). “According to his good pleasure which [God] has purposed in himself: That in the dispensation of the fullness of times he might gather together in one all things in Christ, both which are in heaven, and which are on earth; even in him: In whom also we have obtained an inheritance, being predestinated according to the purpose of him who works all things after the counsel of his own will: That we should be to the praise of his glory, who first trusted in Christ” (Ephesians 1:9-12). Likewise, the gift of aware presence shines forth from the soul of every human being in the beginning with God! “For God so loved the world that he gave his only Son, so that everyone who believes in him may not perish but may have eternal life.” (John 3:16). “And the Spirit and the bride say, Come. And let him that hears say, Come. And let him that is thirsty come. And whosoever will, let him take the water of life freely.” (Revelation 22:17 KJV 2000). This is the day that the Lord has made; let us rejoice and be glad in it! (Psalms 118:24). Good news—the kingdom of heaven is at hand! The hour is coming and is now here… (John 4:23). Now is the accepted time… Now is the day of salvation! (II Corinthians 6:2). 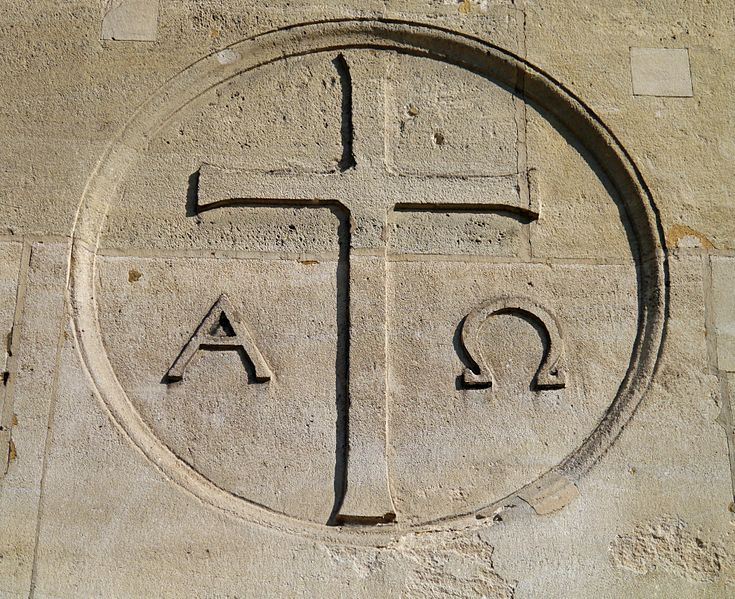 “I Am the Alpha and the Omega, the first and the last, the beginning and the end” (Revelation 22:13).